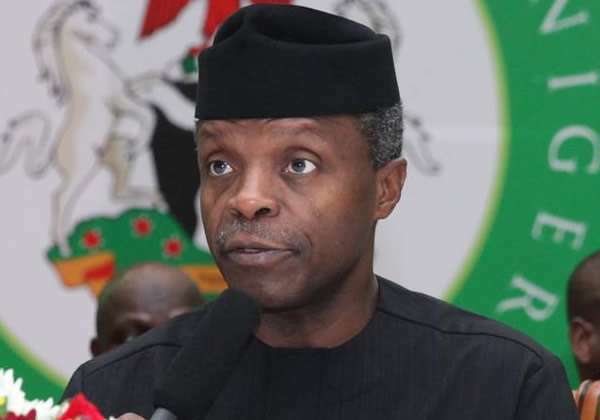 On Thursday, Yemi Osinbajo the Acting President met behind closed doors with service chiefs over terrorists’ attacks in some parts of the country, particularly in Borno State. Several people have been killed recently in renewed attacks by remnants of Boko Haram sect in the North East. To check the insurgents’ onslaught, the Acting President has ordered movement of troops back to the command centre. Briefing State House correspondents at the end of the meeting, the Minister of Defence, Mansur Dan-Ali, said: “We just finished a meeting with the Acting President and the three Service Chiefs. We agreed that they should move back to the Command Centre again and see what is happening there. “We have also agreed that we should get more surveillance devices, cameras that would be able to see distant attackers coming to the position of our troops.